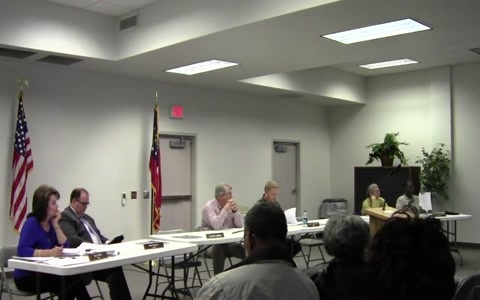 Here are videos of the two Lowndes County cases (both in Lake Park) and the one Valdosta case at the April meeting of the Valdosta-Lowndes County Zoning Board of Appeals (ZBOA). ZBOA is setting an example for local elected and appointed authorities by publishing its own agendas and minutes which you can find here on the City of Valdosta website. The minutes for the March 2013 meeting are not up yet, but the agenda is. Here’s transcription of the case descriptions. Videos by Gretchen Quarterman for Lowndes Area Knowledge Exchange (LAKE), Valdosta, Lowndes County, Georgia, 2 April 2013. This entry was posted in ZBOA, ZBOA 2013-04-02 and tagged 2 April 2013, Georgia, Gretchen Quarterman, LAKE, Lowndes Area Knowledge Exchange, Lowndes County, Regular Session, Valdosta, Valdosta-Lowndes County Zoning Board of Appeals, ZBOA on April 9, 2013 by John S. Quarterman. The Lowndes Valdosta Zoning Board of Appeals meets today (Tuesday April 2) at 2:30pm in the Valdosta City Hall Annex Multi Purpose Room. There are two Lowndes County cases in Lake Park. 2. VAR-2013-03 — Roger Budd Jr. (1000 Lakes Blvd. Lake Park) Variance to ULDC Chapter 5.04.09 (E) as it pertains to the design standards for permanent off-site signs on State maintained road. 3. VAR–2013-04 — Ben Futch (5443 Danieli Drive North, Lake Park) Variance to ULDC Chapter 5.02.01 (D)(8) and 5.02.01 (D)(9) as they pertain to the minimum building setbacks and maximum floor area of an accessory structure. and one city of Valdosta case. 4. APP-2013-01 — Wesley Foundation (1601 N. Patterson St.) Variance to LDR Section 214-1 as it pertains to the minimum setbacks for the R-10 zoning district. ZBOA doesn’t often have observers so come and see your government working for you. This entry was posted in Government, Lake Park, Planning, ZBOA, ZBOA 2013-04-02 and tagged meetings, ZBOA, zoning on April 2, 2013 by Gretchen Quarterman.